Unfortunately, this event is no longer taking RSVPs. Registration for this event closed on June 14, 2018. 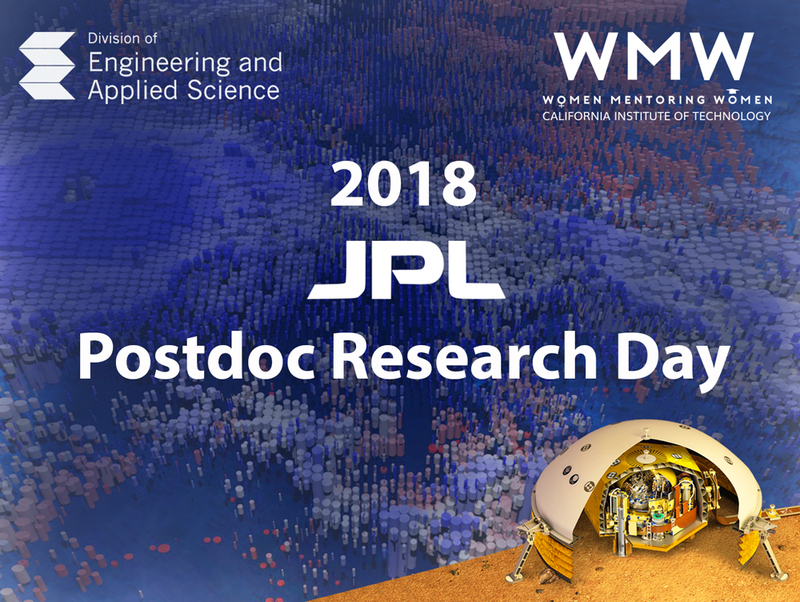 The JPL Office of the Chief Scientist and Chief Technologist cordially invite you to attend the 2018 JPL Postdoc Research Day on June 20, 2018. - planetary science and life detection. This is your opportunity to meet with postdocs who are conducting research strategically important to JPL/Caltech and NASA. The posters will be available from 10:30 a.m. to 3:30 p.m. Postdocs will be onsite to answer questions throughout the poster session. This is an excellent opportunity to see first-hand the latest results from these early career researchers, and to learn more about the various postdoctoral fellowship opportunities available at JPL. Transportation/Parking: There will be a large bus that will leave at 10 AM from Campus and then leave JPL to return to Campus at 1:30 PM. If these times do not work for you, the JPL/Campus shuttle is available to provide transportation to and from JPL on a specific schedule (this schedule will be sent to registered attendees who request the shuttle).